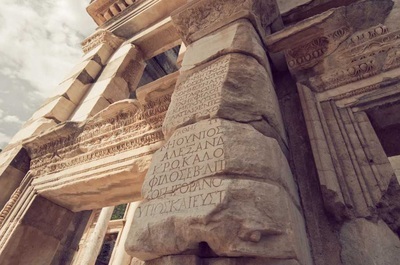 Ephesus has been known as the home of Greek Artemis, Roman Diana, one of the seven wonders of the ancient world, used to be center of the paganism about one thousand years, later it became the first of the seven churches of Revelation. First Pagan then Christian pilgrims made Ephesus as the center of their faiths like Vatican today so it was visited by millions each year. 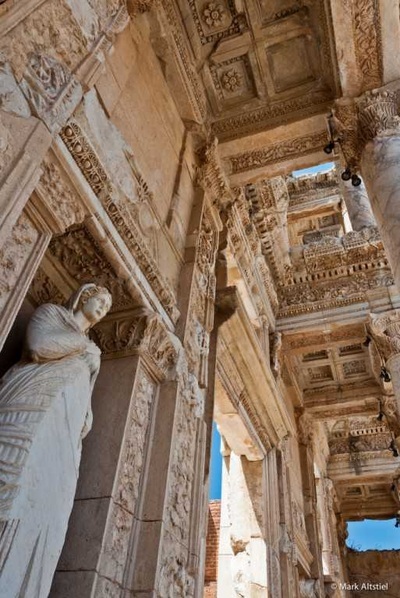 On the other hand, The port of Ephesus was the central of sea trade in antiquity between Asia, Macedonia(Europe) and North Africa. 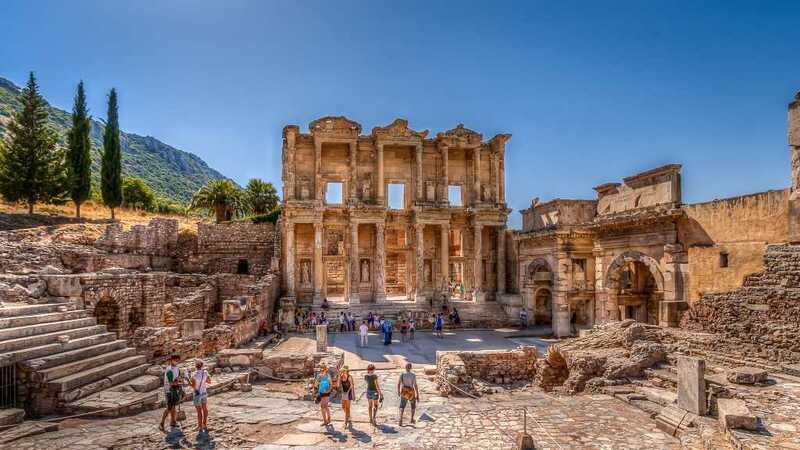 The first settlement in the area was done by Amazons according to some legends but the findings shows us Ephesus was first founded by Hittites about 13 th C BC and it fell into Greek hand after the fall of Troy in 11 th BC by Greek commender Androklos . Then the Romans captured Ephesus in 1st C BC and Roman emperor Augustos declared Ephesus as the capital of Roman Asia. 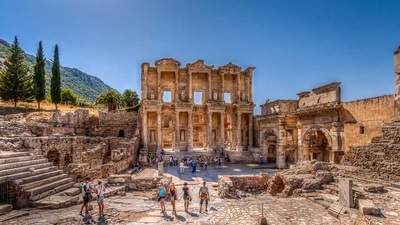 Ephesus was noted for all over the world as one of the three wealthiest cities of Roman empire between the 1st and 2nd C AD, in the time of Pax Romana (Roman peace). 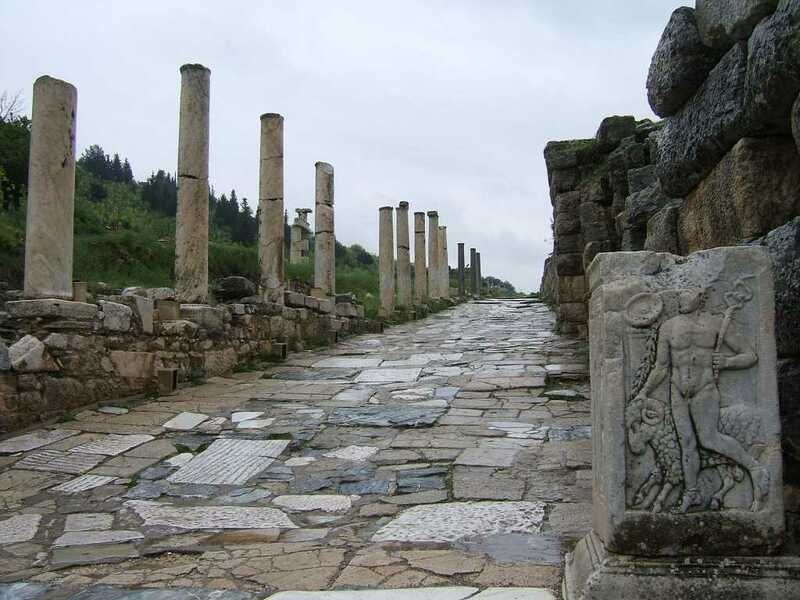 The population was 250.000 without slaves and the third largest city after Rome and Antioch. 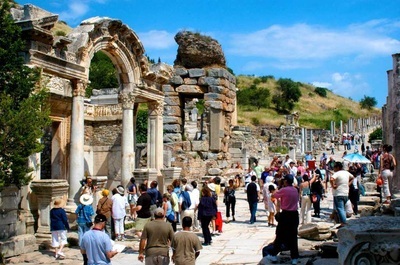 During Pax Romana, 2 apostles, 4 deciples, 16 Roman emprors and so many famous people in the history have been to Ephesus. 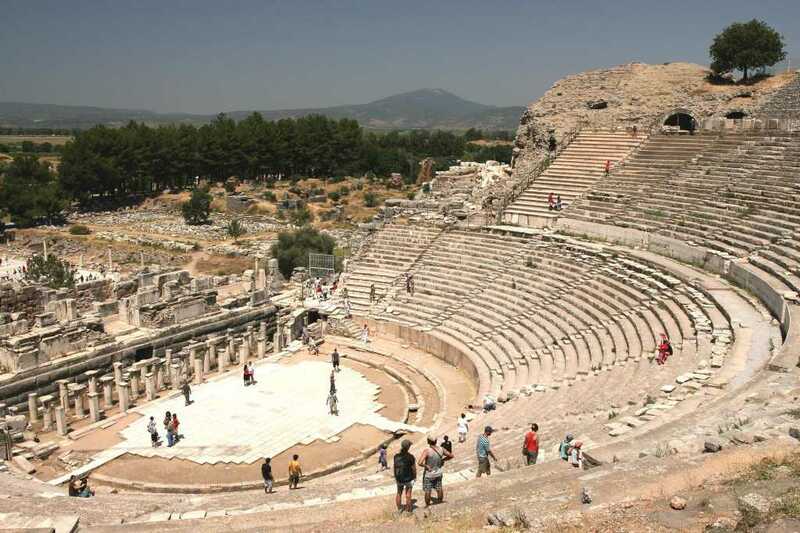 Trade, religion and politics made Ephesus much visited city in Roman province of Asia. St. Paul had 3 years and St.John had 7 years in Ephesus in order to set up a Christian congregation. But the glory was ended up at the end of the of 7th C AD because of the earthquakes and mosquitos. The city first lost its natural port and then invaded by mosquitos so maleria became the main threat for the inhabitants. The city was abondent and was left in ruins for centuries. In 13 th AD Selçuk Turks conquered the ancient town and the new name was Ayasuluk that they built a castle to defend the Selçuk town against the Crusaders later. In 1413 Ottomans took over the town.